Huck Rorick has been a journeyman carpenter, general contractor, architect, professor of architecture, real estate developer and Director of the non-profit Groundwork Institute. He has over 35 years experience in the field of architecture, planning and construction. He has two professional degrees in architecture from the University of California. He has been a professor of architecture and taught at major universities including the University of California at Berkeley, University of Idaho, University of Washington, University of Oregon and the Massachusetts Institute of Technology. He has been a consultant to the governments of Cuba, China, Nicaragua and Grenada and community organizations in El Salvador. He is the recipient of numerous grants, fellowships and honors. In addition to his non-profit work he maintains a private design/build firm. He acts as builder and developer on most of the projects he designs. 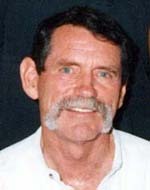 He has developed, owned and operated commercial and residential property in the Bay Area since 1967. His work has centered around the problem of creating healthy, sustainable living environments that are available to all people. This has meant environments that are affordable in varying economic contexts ("low cost"), that are socially healthy, environmentally healthy and aesthetically satisfying. For more details, click on picture Design for a new town for 20,000 people in Cuba to be built from scratch including community facilities, schools, roads, sewage & infrastructure and housing. The project introduced advanced ideas in energy & resource conservation combined with urban plans that are more responsive to the social context. It also seeks to produce a beautiful environment under conditions of severe economic constraint. Huck is the Principal Architect working with a permanent Cuban staff and a team of international consultants in critical technical areas. For more details, click on picture Outside of his non-profit work, he operates a private real estate development, design and construction firm. His projects include the prize winning adaptive re-use of the historic Cooper Woodworking building in Berkeley. He took a dilapidated 40,000 square foot industrial building in the primary drug dealing neighborhood of Berkeley and converted it into the Strawberry Creek Design Center, a lively community of designers, craftspeople and creative startups. He does new construction, conversions and renovation. He currently owns and operates eight commercial and residential properties. For more details, click on picture Demonstration project for the Ministry of Agrarian Reform in Nicaragua which constructed a high quality house for $300.00 using only native materials. The approach is capable of re-housing the country in 10 years with its current resources. A teaching program was also initiated to demonstrate the feasibility of rapidly spreading this methodology throughout the country. Work on low cost housing and integrated community development in Hawaii, Grenada and El Salvador including design, on site community organization and construction. He has organized a number of educational and technical exchanges in Latin America, bringing some of the top world authorities in areas of crucial importance to the developing world.